Well played Eversource. It was not unexpected. There are some folks who even at this stage of the game take hope from your presentation, and think that a corporation who has plans to destroy our woods, threaten our water supply with contamination, industrialize the look and feel of our town by erecting monstrous towers through the heart of Sudbury resulting in visual pollution everywhere, as well as in degradation of home values, might, just might, build us a “bike path”. And these same folks believed Eversource when the utility company intimated that there is nothing to worry about riding bikes or walking with their children for prolonged periods of exposure either underneath or above high voltage wires. People who believe that Eversource could and would create a paved over corporate path that some would call a bike path. 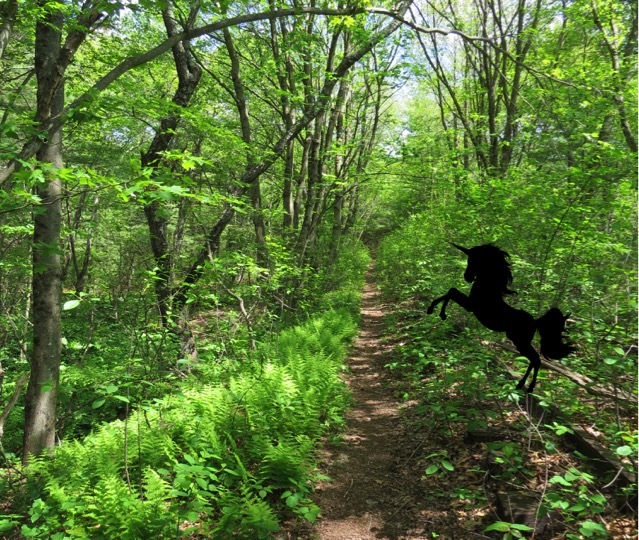 Eversource can call it a unicorn path if they like but it still won’t exist. So, if you meet one of these kind people please tell them the truth. Let them know that the corporation called Eversource will not give us a bike path. And let them know that you are saying this not because you do not want a bike path (I do!) rather, it is because you know that Eversource is a power company. Not a bike path building company. Eversource makes money building transmission lines – not on doing anyone any favors. Eversource will give us some things, however. They will give us lower home values. They will give us the runaround. They will give us an ugly town. They will probably, due to their vegetation management program of chemical sprays, give some of us cancer. Or illnesses we wouldn’t otherwise have had. They will give us doubt when we drink water from our faucets, and when we bathe our babies in that water. They will give us everything they have already given other towns including lawsuits, clear cuts, herbicides, fewer trees, and little to say over our own properties if they need access for any reason. We can’t help those who believe that Eversource just might build us bike path (if you squint enough maybe you can block out the 100-foot tall poles and the brown out of the vegetation where trees used to be) other than to tell them the truth. Eversource will do what is expedient and what makes them money, and putting your faith in Eversource may very well kill your community.